Flato Realty Advisors work in the U.S. is primarily concentrated in South Texas. Clients have engaged us for work in many counties across Texas, and we have provided expert witness testimony in Bexar, Travis, Webb, Live Oak, Nueces and San Patricio counties. In each area, our local contacts assist us with data collection and confirmation. Our internal history and database resources supplement current research for each assignment. 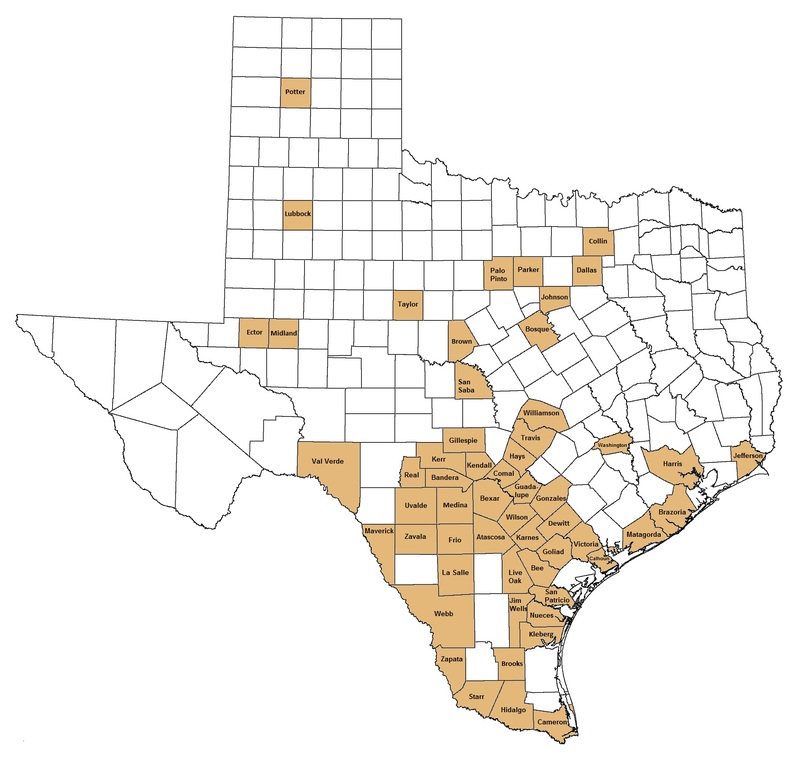 Counties in Texas in which we have worked are highlighted in tan.